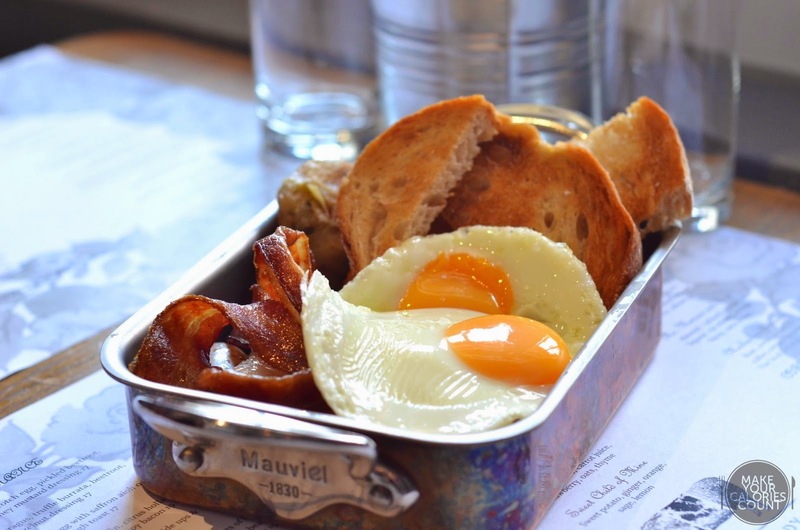 Quiet weekend brunch - a luxury you might say? 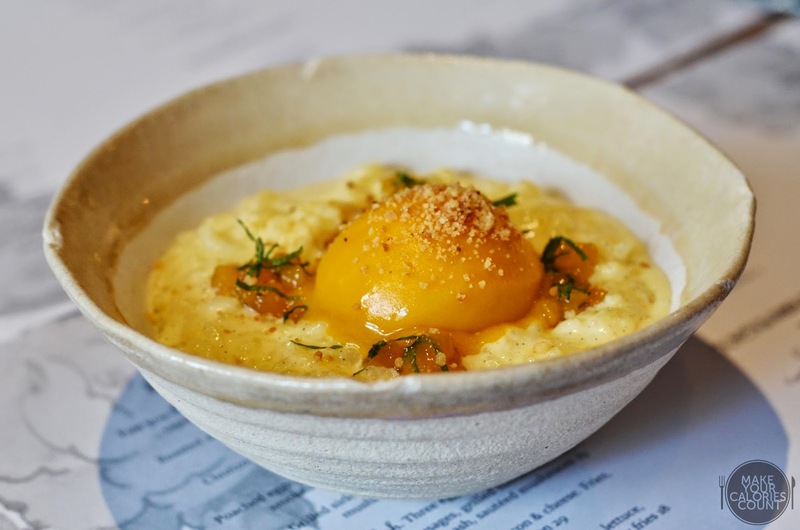 Especially given the popular brunch culture now, it's almost hard or impossible to enjoy a meal without first having to queue even at the oddest hours. 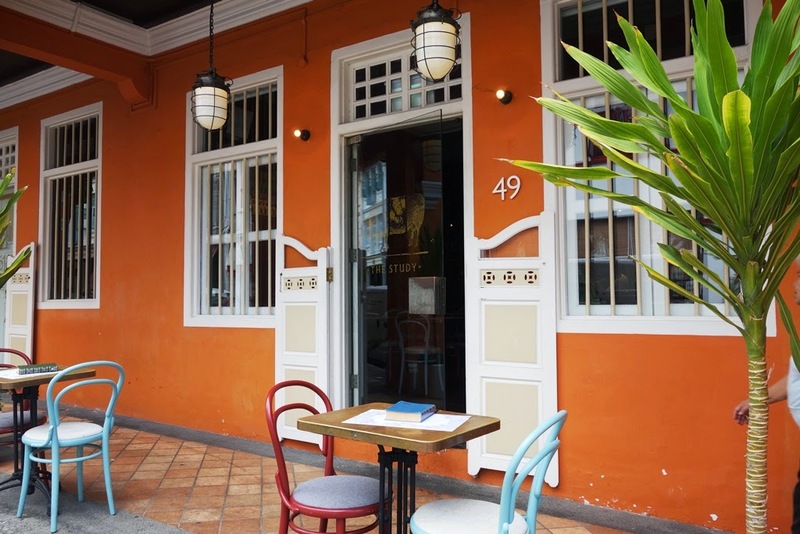 We were thus pleasantly surprised by this hidden gem in the vibrant estate of Keong Saik, hosting a cosy space for some relaxing weekend brunch time. 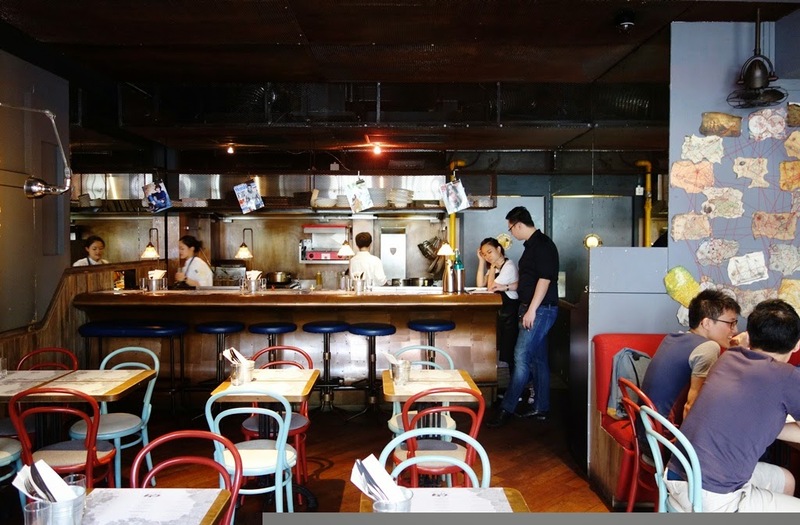 A catchy name that always gets a double take when it comes up in food talk, The Study was previously known as Keong Saik Snacks, with a revamp of its menu to include a different and wider variety of offerings. 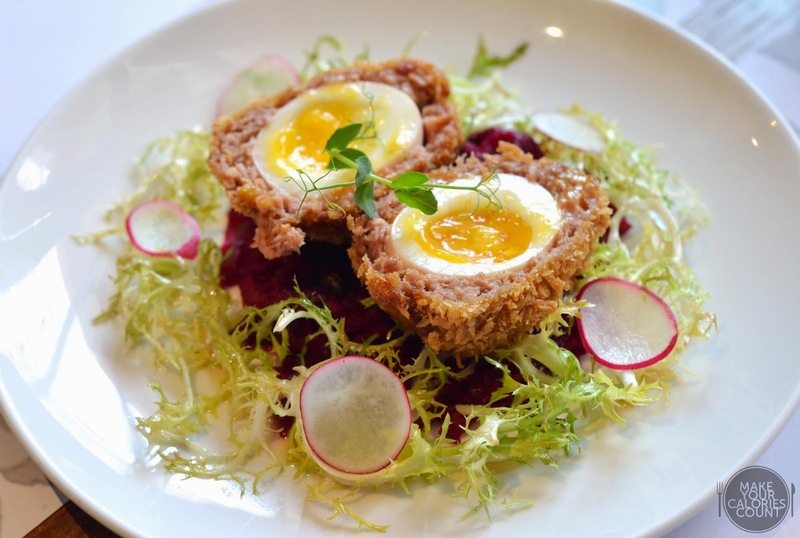 Serving good ol' British classics, it's part brainchild of Michelin Star Chef Jason Atherton, offering comfort food in an unpretentious setting. Greeted with a vibrance of colours bound to cheer up any meal, this was a good combination of textures from the soft wobbly yolk to the crisp outer layer paired with the crunch of pickled beetroot. A sumptuous serving packed within, it was classic goodness done right. Fit to its name, it was indeed a very filling portion with interesting addition of potato onion hash and perfectly toasted bread to go with anything in this combination! A fan of anything coconut-based, this was a must-order when I first saw it on the menu. 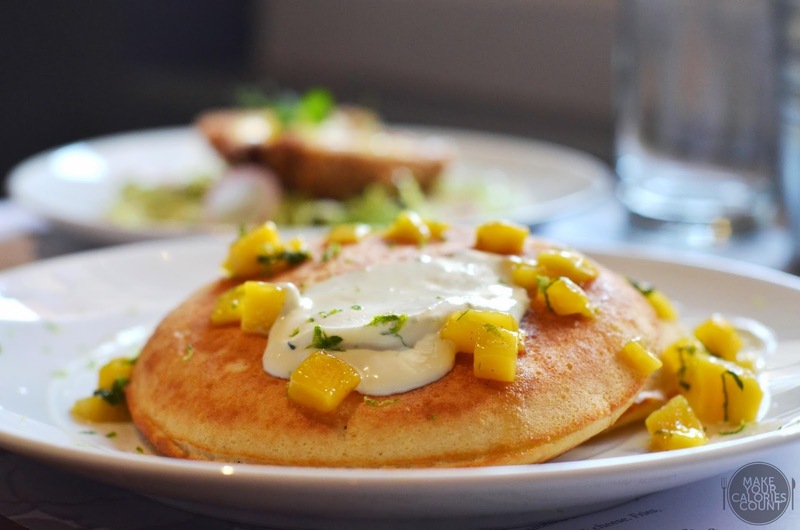 I liked how the coconut fragrance came through strongly in every mouthful of the fluffy pancakes, well paired with the ricotta, lightly sweetened by the mango cubes. 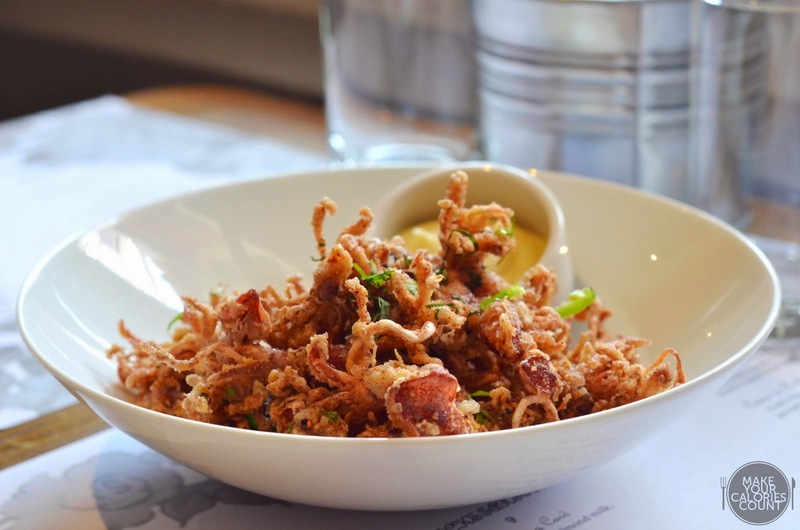 An addictive starter that was well-marinated, I loved the chewiness of the baby squids that were crisp and good on its own. 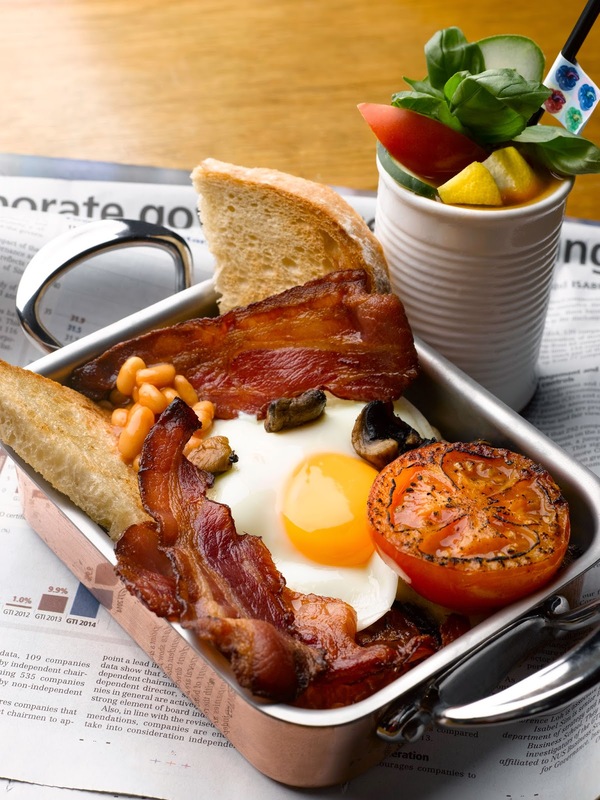 Pity that this was only available on its ala carte menu, that's served only when brunch isn't available. A comforting warm bowl of creamy rice, it is one to be shared especially after a sumptuous meal like we had. With a strong mango flavour, I liked how it wasn't too sweet and the rice helped to add another dimension of texture to the dish. If there's one thing that will bring me back to The Study, this would be it. I was never a fan of cream, but this was so light and fluffy that the first dip is a vicious cycle leading to an addictive pairing that drew me back repeatedly. 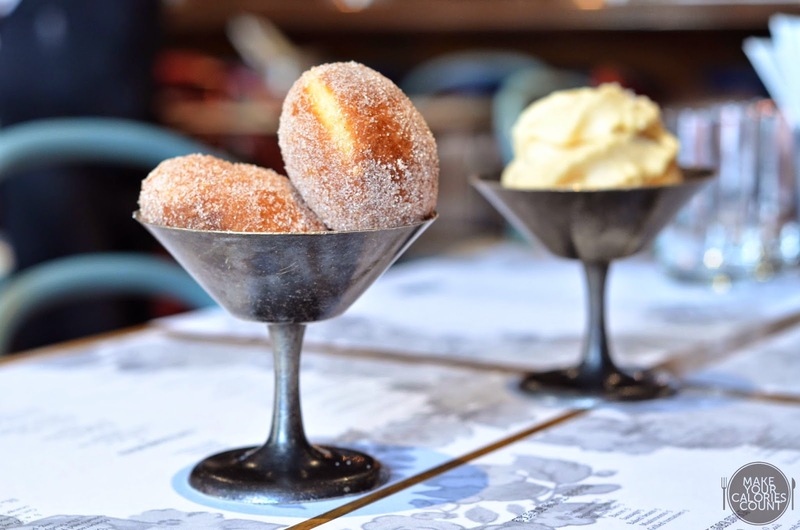 An unassuming duo of cinnamon doughnuts, dipped into the caramel cream, a perfect sweet ending to any meal! It's almost easy to miss it if you're not on the lookout, it's simply opposite Potato Head Folk, with a dark-tinted entrance to the cosy space. We loved the laid-back ambience that felt very homely and welcoming, with attentive service staff who'd been very prompt in responding to our requests and refilling of drinks. 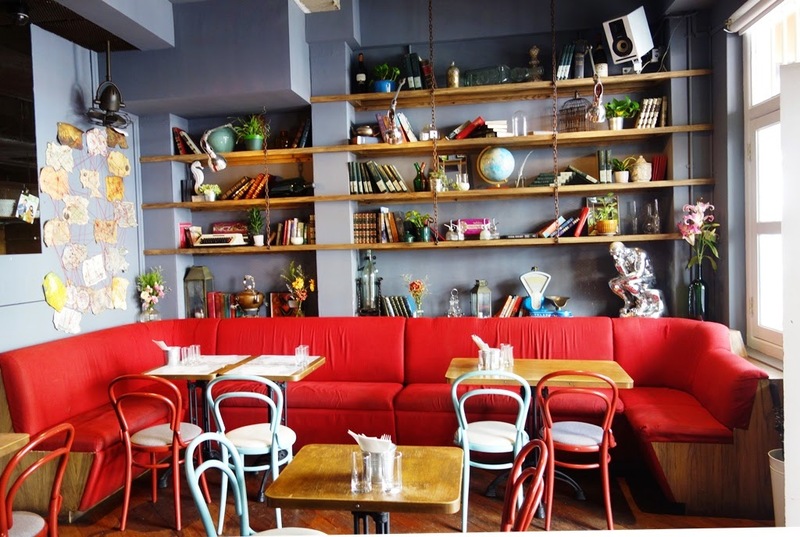 A comfortable space perfect for cosy gatherings, savour a relaxing meal within while the world passes by. Complementing its studious counterpart, The Library, next door with the not-so-secretive speakeasy bar, it was interesting to see how the two were connected via an unassuming door and if you're there dining on a Friday/ Saturday evening, be pleasantly surprised by the unveiling of the secret hideout!